We had a lot of fun at our bottle release party over Labor Day weekend and are looking forward to doing more events with you guys in the future. Our next member event is going to be Wednesday September 27th from 4-7. Join us for appetizers, some rare bottle tastings and sneak previews of some beers we have coming through the pipeline. Our Head Brewer, and crew, will be on-site to talk about our brewing processes and answer any questions you all might have about some of our beers. Even more exciting, we will be releasing an exclusive member bottle that day! A recreation of Exile on Broad, which we are calling Exile:Remastered. 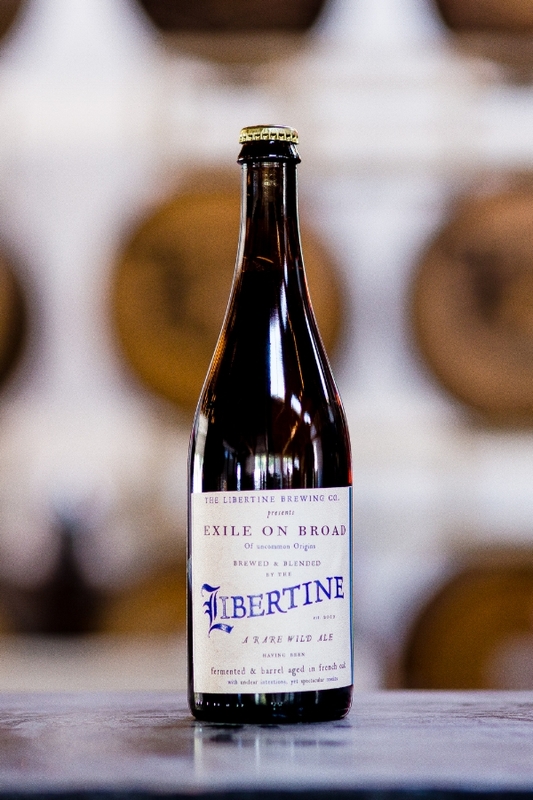 The original Exile was a Brandy Barrel-Aged Bier De Garde that was later aged on Peaches and became one of our most beloved beers. This recreation of the concept uses Brandy and Rum aged Bier De Garde, but this time we aged it on Peaches and Vanilla beans. This bottle will only be available to members only and have a limited availability of only 100 bottles. They will be first come first serve at our SLO location during the Happy Hour. For those out of town, or unable to make the event, we will make bottles available on a limit 3 per customer basis, for a limited time only. This will also be a rare opportunity to grab some more bottles of Two Virgins before supply runs out, and we may even be able to dig up some Swizzle Stick. Don’t miss this rare opportunity to try some cool new stuff, some rare old stuff and a chance to talk with the people that make and care for our beer. We look forward to more events and bottle releases like this and hope you guys are enjoying the beers we are putting forward. We are having a great time experimenting and coming out with new concepts and look forward to seeing you!